Beautiful Helen, Georgia, is well known around the Southeastern US for its amazing landscapes, mountains, rivers, and classic Bavarian architecture. 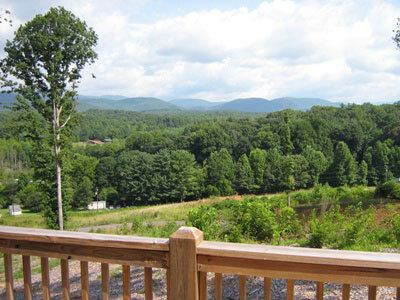 It's a top tourist destination for families coming in from southern Georgia, as well as from all the surrounding areas. And while people often come to Helen for the spectacular vistas and intimate restaurants, they usually stay for the shopping! Helen has a great selection of specialty shops and boutiques selling a huge range of handcrafted goods you simply can't find in the big city. From handmade toys, to locally-produced treats, we have shopping the whole family will love! Given the strong Germanic roots in our Christmas traditions, it's no wonder that Helen celebrates Christmas all the time. In fact, two of our Main Street stores are Christmas shops that are open most or all of the year! 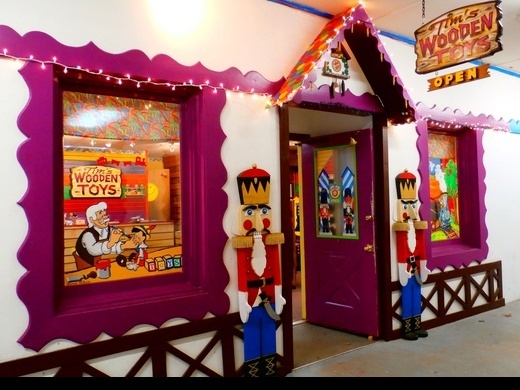 Whether you visit The Christmas Shoppe (8749 N Main) or Christmas & More (8580 N Main), your children can visit Santa and experience a winter wonderland that's open year-round, with plenty of picture-taking opportunities. Helen Ga happily boasts one of the most unusual ice creameries in the country, noted especially for its owners' rather... unique sense of humor: Sweets-R-Land. (See the pun?) While this charming little shop has a full range of sweets, including amazing funnel cakes, their real draw are their custom ice cream flavors, usually made based on the owners' whims. However, if you're not sure what options like "Mother's Milk" or "Vegetarian-Flavored" involve, they still have a full range of classic favorites. Even vanilla. At Nora Mill Granary Grist Mill & Country Store, you can blend education with delicious foods. Nora's runs a genuine waterwheel-and-stone grain grinder to produce most of their baked goods, and they're happy to show it off to anyone who's interested! Show your kids how food used to be made, before microwaves. While you're there, Nora's also offers a full range of food, canned and bagged ingredients, and even a line of soaps and other bath products! At Mark Of The Potter, in nearby Clarksville, you and your family can see how pottery, metal implements, and even glasswares are made. Mark shows off their trade and skills whenever they get the opportunity, delighting visitors who've never seen how these goods are made. At Tim's Wooden Toys, your children can experience the fun and games of a different age. Nearly every toy sold in the store is hand-crafted, in a workshop that's usually open to observation. These aren't mass-produced plastic junk that breaks a week after you buy it. These sturdy solid-wood toys can last for years... or even decades. Perhaps the toy you buy at Tim's during your next Helen visit will also belong to your grandchildren as well! How many toy shops can say that? Tekakwitha, on Main Street, is devoted solely to displaying authentic Native American goods, made using traditional materials and methods. Kids who love music will especially enjoy Tekawitha, since it features a range of genuine handmade flutes, drums, and other instruments. And, while they're making music, you can enjoy the fabulous beadwork and stunning woven products. You might have to keep little ones in hand, but a trip to The Glassblowing Shop is one that absolutely should not be missed, and certainly won't be forgotten. Young or old, everyone is mesmerized when they watch glass-making experts plying their trade. The mixture of air, fire, and water creates a unique visual extravaganza for every piece made. 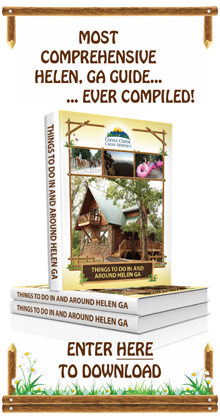 Why bring your family to Helen? Because we offer sights, sounds, and experiences that are quickly vanishing from America. Our craftspeople, chefs, and other artists pride themselves on maintaining these traditions of producing quality goods using truly timeless techniques. What Helen has to offer can't be found in cities. When you come to the country, what you get is country quality. And when you're staying in Helen, there's no better place to stay than in a luxurious mountain cabin! Our amazing cabins have all the comforts of home, including electricity, plumbing, and WiFi, nestled amongst the forests of southern Appalachia. When it's time to get away from it all, give us a call at Cedar Creek Cabin Rentals, and we'll put together a vacation of a lifetime for you and your family.